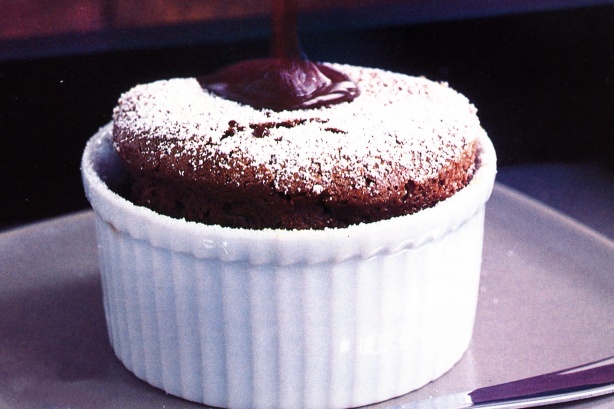 February 28 is National Chocolate Souffle Day. I can’t think of chocolate souffle without thinking of the episode of The Mary Tyler Moore Show in which Sue Ann has an affair with Phyllis’s husband Lars—and Phyllis retaliates by ruining Sue Ann’s chocolate souffle. (She slams the oven door, causing the souffle to fall). “Good,” says Phyllis, dipping her hand into the ruined souffle and flinging chocolate at Sue Ann’s white apron. 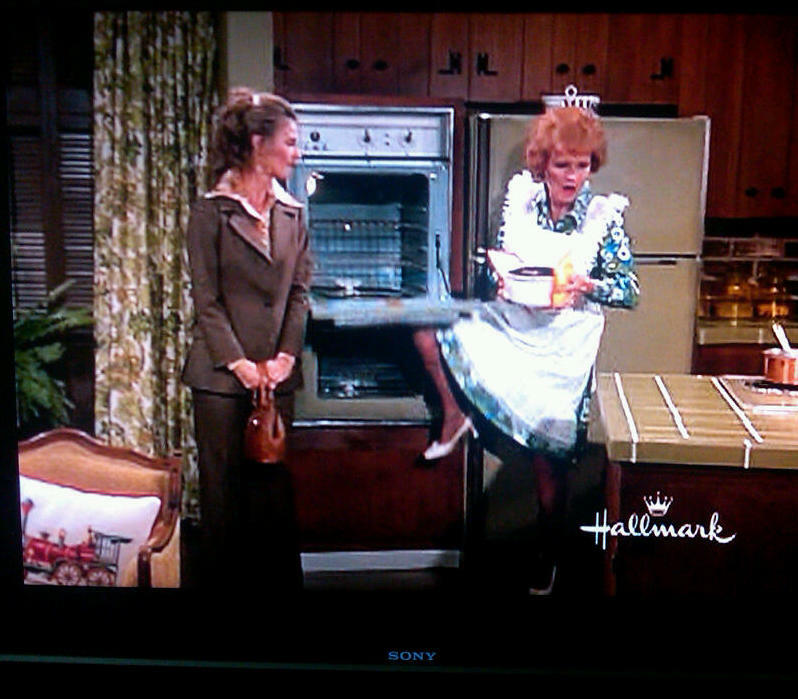 Phyllis (Cloris Leachman) watches with satisfaction as Sue Ann (Betty White) removes a fallen chocolate souffle from the oven. From “The Lars Affair,” The Mary Tyler Moore Show (Sept. 15, 1973).